I'm so excited to have my shop up and running (at least partially, I'll be busy loading more pieces on for a few more days!) 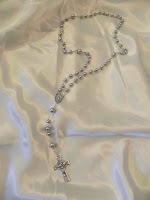 and in honor of the Grand Opening of Full of Grace Creations I'm doing a rosary giveaway. 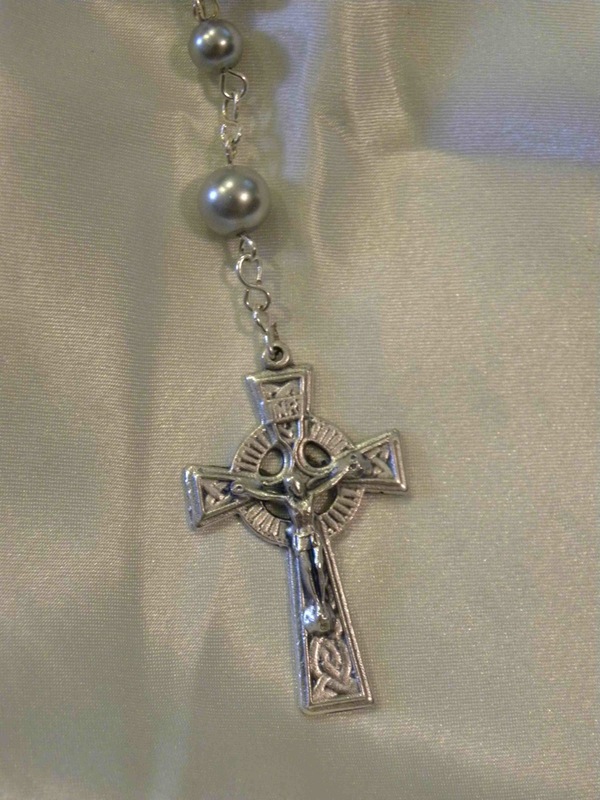 This rosary measures 6 inches from the bottom of the Celtic Crucifix to the top of the Miraculous Medal and is 27 1/2 inches around. The beads are grey glass pearls. 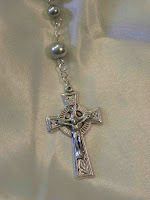 This is one of the first rosaries I designed and made and I'm thrilled to give it away as part of the opening. To enter in the giveaway leave your email address so that I can contact you in the comment section. For three extra entries become a follower and let me know that you'd like the three extra entries in the comment section! Or if you're already a follower just leave a note in the comments saying that you'd like the three "follower" extra entries. Lastly you can get another five entries if you blog about the giveaway and let me know! I'll draw the winner on Sunday, April 18th after 12 pm Pacific Time so make sure you enter by then. And don't worry if you don't win! I plan on doing three more giveaways in the next couple of months! I'm a follower, I blogged about it, and my e-mail is laura_flute@yahoo.com So what's that nine entries or something? Love the rosary btw. I've seen some really pretty handmade ones and this one is top notch. Hi! I've been reading your blog for awhile now, and recently became a follower! I think it's great that you opened an Etsy shop, and the rosary looks beautiful. 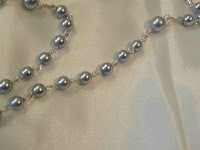 I blogged about the giveaway over at my blog, http://catholiccatherine.blogspot.com/ . Good luck with everything and keep up the great posts! Gorgeous! I love the new shop and hearted it as a fave over on Etsy. You can contact me over there at www.sewmelody.etsy.com. Hi Cammie, I'm so proud of you!! This Rosary is BEAUTIFUL!!! Keep up the great work on all your designs...as I told you before, my daughter Melissa, has a shop on ETSY also and is doing great! So, I want to wish you great success too. Your creations are amazing. I am lucky to have such a talented friend:)!!! This is getting really long, I just wanted to say, I love this blog, and I wish you success in business! Following... So surprised I wasn't already. You've been on my blog list quite awhile now lol. 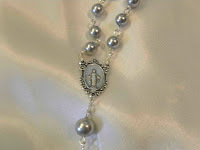 I'd love to be entered in this giveaway--what a beautiful rosary! My email is nicolepalmby (at) gamil (dot) com. Also, I'm already a follower. What a wonderful Rosary! I just became a follower of you blog!